The world's biggest ever recall is the Takata airbag recall affecting over 2m vehicles around the world. 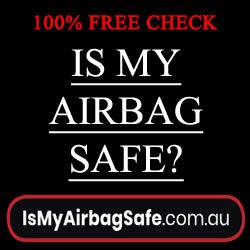 Australia's peak industry organisation (FCAI) has created a free check to see if your airbags are affected by the recall. It costs nothing to find out and takes under 2 minutes to complete. Check if your vehicle is affected by the Takata airbag recall. 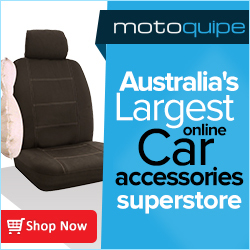 FCAI is the peak industry organisation representing the manufacturers and importers of passenger vehicles, light commercial vehicles and motorcycles in Australia. What does this search tool cover? The tool provides advice on whether your vehicle is or is not affected by the compulsory recall. This tool is designed as a gateway to your vehicle brand who is able to provide you with your vehicles status under the recall. See the FAQs for more information. Vehicles that have been privately imported or supplied by an importer may return an unknown status. If this relates to you then you should contact your vehicle importer or brand directly. The tool collates information provided from National Exchange of Vehicle and Driver Information System (NEVDIS), VFACTs and participating vehicle brands.